Given the known history of the site the purchaser of one of the dwellings at the site required a desk study report to determine the potential issues relating to the past uses and the potential for the site soils to be impacted by elevated levels of contamination. As as well assessing the potential for contamination for one of the plots the remainder of the ste was subject to the desk study report as there was the intention to redevelop the reminder of the site. Initially, to ascertain the potential issues a Phase I Desk Study report was undertaken, the first stage was to review the site history using Ordnance Survey maps from 1854, aerial plates and street level imagery. 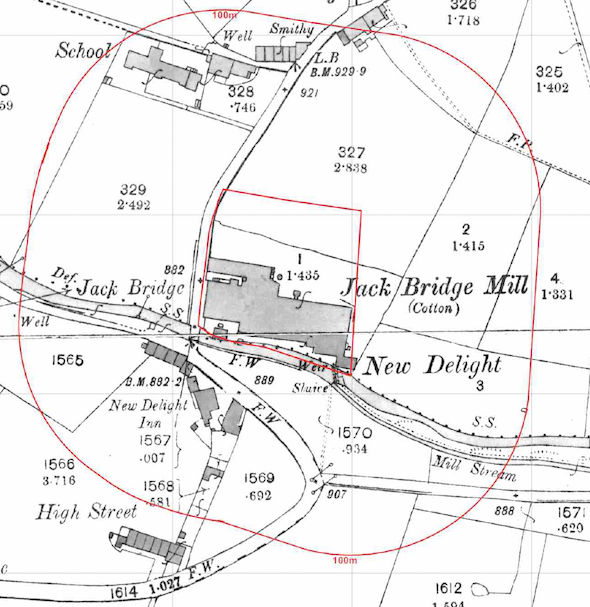 The O.S maps indicated the site was developed between 1854 and 1892when Jack Bridge Cotton Mill was erected. Later maps identified a warehouse and an electricity substation. By 2002 the buildings had been cleared and a single building was identified *the existing dwellings). Off site sources identified included a smithy and a pond. Data provided by the Environment Agency and Groundsure did not reveal any further potential sources of contamination within 250m of the site (including landfills). Data provided by the BGS and BRE indicated the site was in an area where radon was an issue. 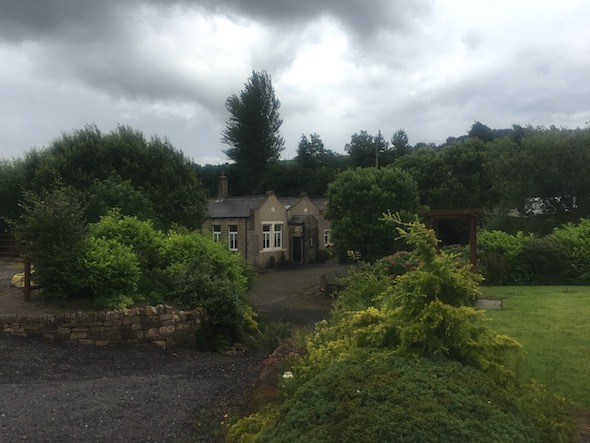 On completion of the desk based study a site reconnaissance visit was undertaken, which revealed that the site was occupied by three dwellings (a former B&B) as well as a stable. Gardens were present to the south of the dwellings and raised rear gardens to the north. The potential sources of contamination were subject to a qualitative risk assessment to determent if any were credible sources, which concluded that the on site sources (mill, made ground, warehouse and the underlying bedrock) were potential sources of contamination. It was concluded that further intrusive works would be required for any future planning application, and whilst the site soils and the potential to be impacted by elevated levels of contamination, was unlikely to be legally classified as ‘contaminated land’. Whilst the site was unlikely to be blighted by elevated levels of contamination the purchaser of the dwelling required confidence the site was ‘suitable for use’ hence a site investigation was undertaken. Given the access issues with the raised rear garden sampling was undertaken using hand held dynamic boreholes (three in the front garden and one int he smaller rear garden). The sequence indicated that topsoil had been imported onto the site soils, hence samples from both layers were t taken to demonstrate if the topsoil was suitable for use and if it was a suitable capping layer. Samples form each of the four boreholes were analysed to a broad range suite taking into account the use of the site as a mill (the suite included VOC’s, SVOC’s and pesticides). Results indicated that the topsoil and subsoil in one location on the front garden was impacted by lead and hexachlorocyclohexane (alpha and beta HCH). It was proposed that either a 600mm cover should be placed or further works should be undertaken to further characterise the soils in the front garden.Further samples (27) were taken of the topsoil in the front garden by hand hand trial pits on a 10m grid. The additional data provided a more robust assessment and it was concluded that the topsoil was not impacted by elevated levels of lead. The HCH data was reassessed based on the potential purchaser not wanting to grow homegrown produce and the risks from HCH’s were shown to be minimal. Based on the updated assessment the sale of the dwelling was completed.